Zürich, Rascher & Cie, (1925). Orig. full cloth. Tears to hinge at upper and lower part of frontcover and to upper part at backhinge. Stamps on titlepage. 708 pp. 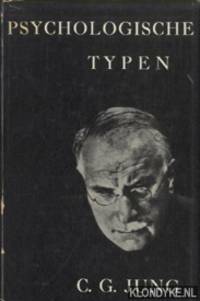 ¶ First edition, second issue (Drittes und Viertes Tausend) of Jung's main work. Psychologische Typen. (Hrsg. : Marianne Niehus-Jung, Lena Hurwitz-Eisner; Franz Riklin. 9., revidierte Aufl.). Jung, C. G. [Carl Gustav]. Zürich, Rascher & Cie. 1960. . Das Typenproblem in der antiken und. mittelalterlichen Geistesgeschichte, in der Menschenkenntnis, der Dichtkunst, der Psychopathologie, in der modernen Philosophie, Biographik und allgemeinen Beschreibung der Typen, über Schillers Ideen zum Typenproblem, das Appollinische und das Dionysische und das Problem der typischen Einstellungen in der Ästhetik. Mit Anhang, Bibliographie, Autoren-, Sach- und Textregister. - Gutes Exemplar. Rascher. Used - Good. Former Library book. Shows some signs of wear, and may have some markings on the inside. Zurich: Rascher Verlag, 1950. 718pp, index. Or brown cloth in jacket. Minor edge wear and slight toning. Jacket worn,torn, chipped and stained. Jung's classic Psychological Types in the original German. . Reprint. Hard Cover. Very Good/Good. 8vo. Zurich, Rascher Verlag 1946 . 732pp., cloth with gilt lettering, 21cm. 's-Gravenhage: Servire, 1979. Paperback, 21 cm, 428 pp. Cond. : goed / good. . Condition: Paperback, 21 cm, 428 pp. Cond. : goed / good. 's-Gravenhage: Servire, 1953. Linnen band, met stofomslag, 23,5 x 16 cm, 428 pp. Het stofomslag is flink beschadigd. Boek zelf prima. Cond. : goed / good. . Condition: Linnen band, met stofomslag, 23,5 x 16 cm, 428 pp. Het stofomslag is flink beschadigd. Boek zelf prima. Cond. : goed / good.